After weeks of near-bedlam here at the studio, our team decided it was time for some relaxation and holiday cheer! For over a month now, our crew has been buzzing with focused activity. 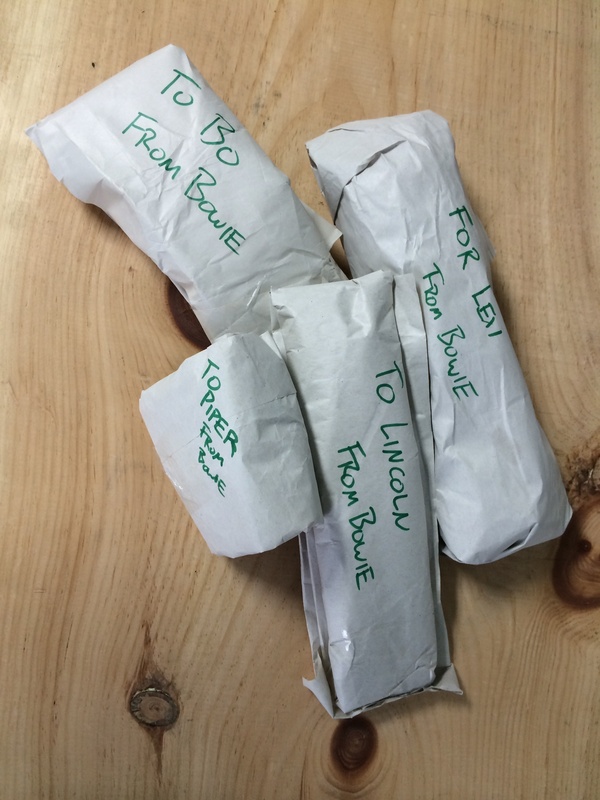 We have been polishing, slicing, stamping, packing, and emailing like maniacs- working hard to send hundreds of our stone pieces out into the world. Now that our stoney creations are happily nestled in store fronts, dutifully bearing Aunt Sarah’s famous banana bread, or boldly offering hors d’oeuvres on a hostess’s party table, we took the opportunity to catch our breath. We decided to celebrate the season and reward our hard work with a studio holiday party! How do stone artisans celebrate the holidays you ask? With burritos and salsa of course! 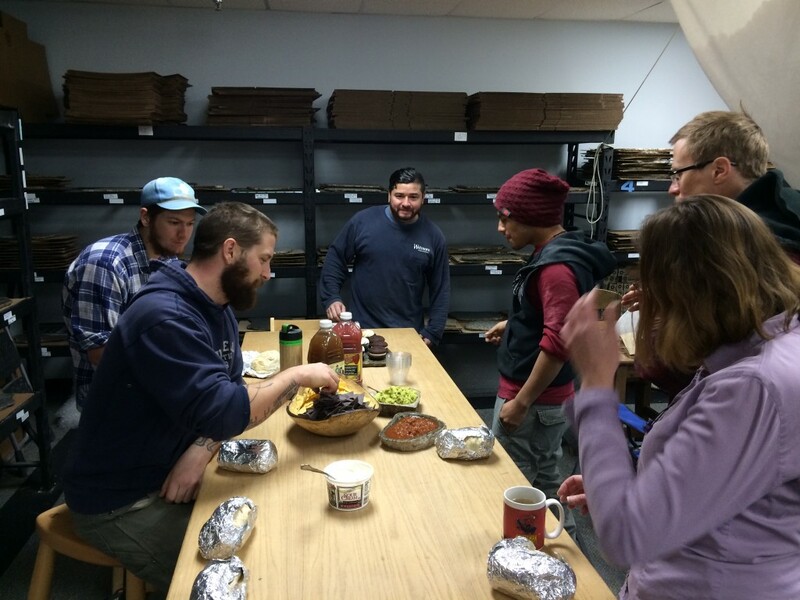 Our team gathered in our showroom to enjoy Chipotle burritos, homemade guacamole and organic salsa. We were also treated to whoppie pies and chocolate cupcakes. With jazzy holiday tunes filling the background, we chowed down, laughed at inside jokes and discussed the many success’s of our year. 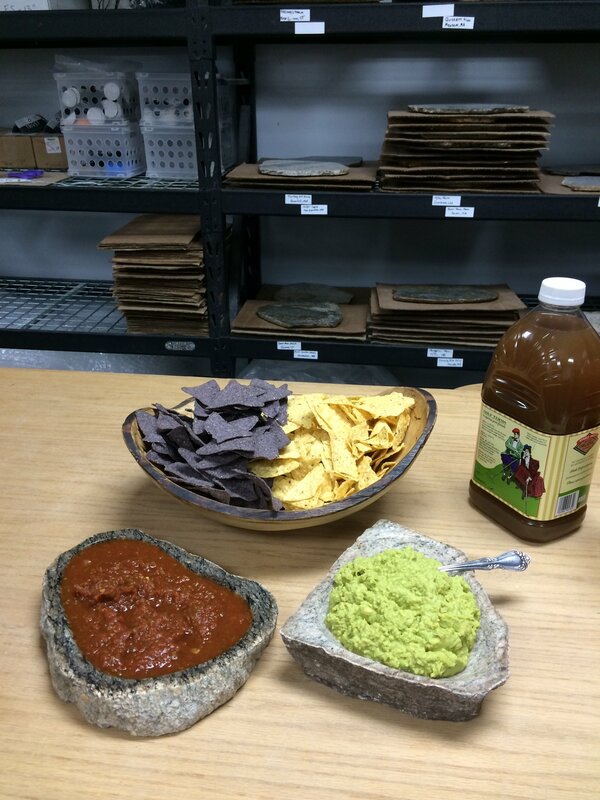 Don’t those stone Bowlders make the guac’ look great?! After we were all full-to-burst and the tables had been cleared, we held a ruthless game of Yankee Swap. Some of the items up for grabs were homemade beer bread, a slingshot, local art, woolen socks (worth their weight in gold to the gent’s who polish stone in the workshop) and a fruit basket. Surprisingly, the most passionately sought-after gift was an electric coffee grinder! In the end, we all let off some steam and walked away with cool new gifts. 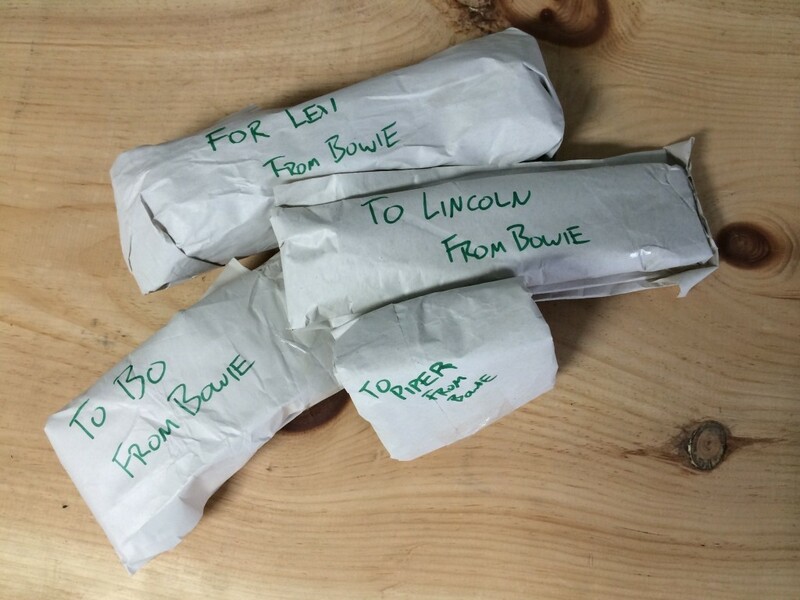 Even our furry co-workers got to take part in the holiday cheer- They were each gifted a special meaty-bone as a going-away present from Cooper’s dog, Bowie. Full Bellies, New Presents, Happy People, Happy Dogs! Does your workplace have holiday traditions? Have you ben extra busy this season? Send us an email!